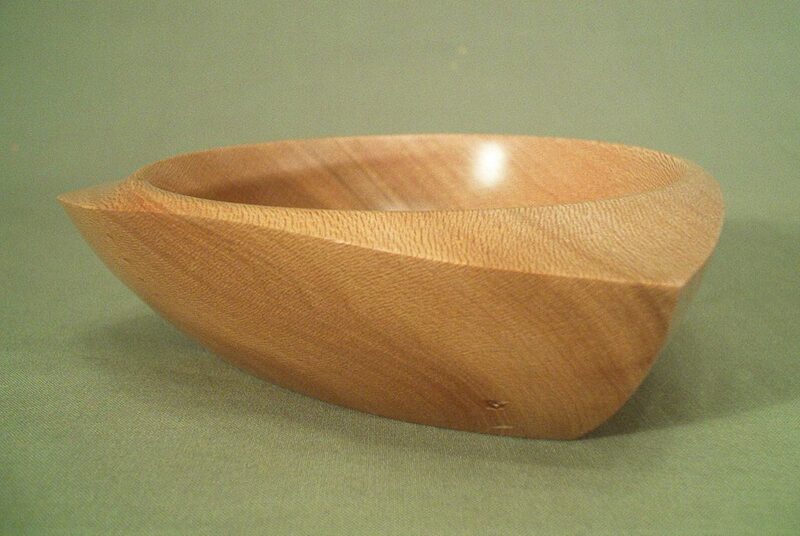 Following on from this piece, I made another bowl with three sides. The principals are the same, apart from planning the mounting screws so the blank can be rotated by 120 degrees for each side and having to turn three matching faces instead of two! 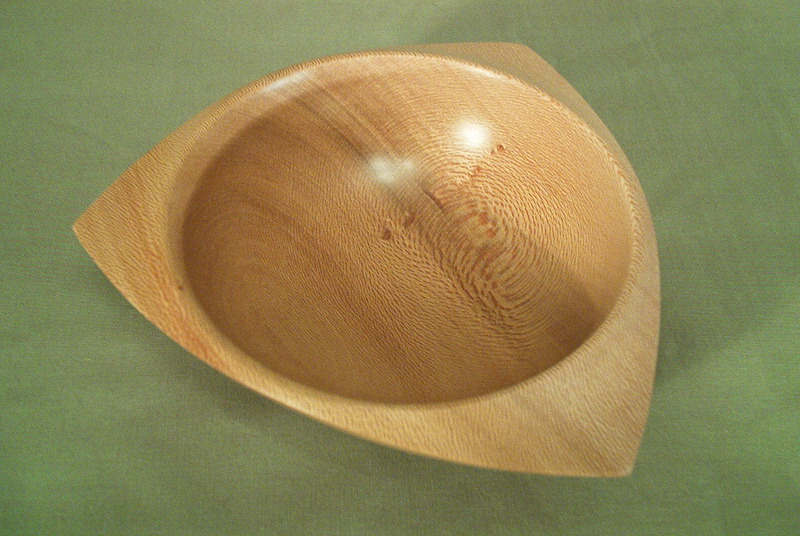 There are numerous combinations that can be attempted with what I will loosely describe as multi-sided bowls. I’ll leave it to your imagination to build on the basic concept yourself! Here are a couple of pictures of the three-sided bowl to give you an idea of how it turned out.